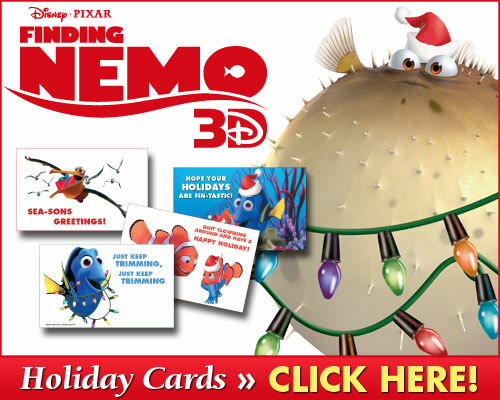 Finding Nemo 3D Blu-ray Arrives with a Splash! Just keep swimming…just keep swimming…because Finding Nemo 3D Blu-ray is now available for the very first time!! You know what I love about Disney Pixar? Well, let’s see: there’s the incredible story telling, the hilarious characters and the state of the art animation, of course. Finding Nemo was no exception when it came to awesome Disney Pixar movies! No, seriously, Finding Nemo was a masterpiece! Finding Nemo tells the story of a little clown fish with a disfigured fin and his worrisome father, Marlin. On Nemo’s first day at school, he winds up straying from the school – get it, a school of fish at school!? – and is scooped up by a diver. When Marlin finds out that his son is missing, he sets off in search of him and comes across Dory, a sweet but short term memory challenged fish, and she helps Marlin in his search for Nemo. In the meantime, Nemo finds himself in a fish tank in a dentist’s office, where he is being held until the dentist’s niece comes to visit. The other fish in the tank know that she will undoubtedly kill Nemo and begin devising schemes to break him out of the tank! While Nemo and his friends are trying to escape the fish tank of doom, Marlin and Dory go on one adventure after another: they meet sharks who are recovering fish-eaters, find themselves in the middle of a jellyfish invasion, ride with crazy surfer turtles and wind up in the belly of a whale! It had been so long since I’ve seen Finding Nemo and I had never seen it in Blu-ray before, so this was a special treat for me! When Marlin and Dory ride with the turtles through the current, I was totally geeking out! As much as I love the story of little Nemo finding confidence, my favorite character in Finding Nemo is Marlin. Watching an overprotective parent let go and let their child flourish? That makes my heart melt! As much as I loved watching the Finding Nemo 3D Blu-ray I am always up for a little change, and this alternate opening was really fun! Right now the Finding Nemo Five-Disc Ultimate Collector’s Edition: Blu-ray 3D/Blu-ray/DVD + Digital Copy is on sale on Amazon for just $24.99! 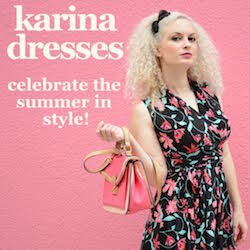 It is regularly priced at $49.99 at most retail outlets. That’s quite a bit of bang for your holiday shopping buck! If you miss the sale on Amazon, you can buy the Finding Nemo 3D Blu-ray Combo pack on Disney.com for $24.99! Not enough Finding Nemo for the kiddos? 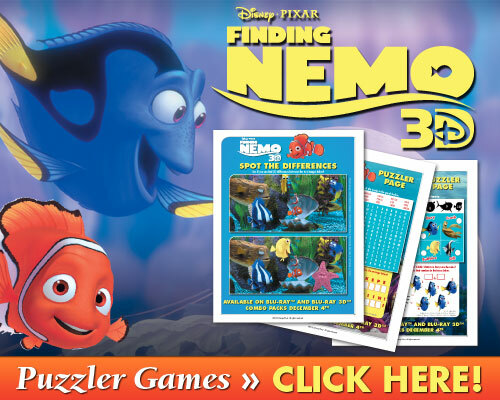 You can download these free Disney Finding Nemo Printable Games! You can also get the kids ready for the holidays with this fun Finding Nemo crafts and activities printables kit! I received a promotional copy of Finding Nemo 3D on Blu-ray but all opinions are my own! Blah, I still never saw this…how does time fly? This is supposed to be an awesome movie. I need to pick this up — we don’t own it. I just love this movie. Whenever we go to Disney, we ride the Nemo ride at least a dozen times, too!! I love Finding Nemo I bet it looks awesome in 3D!